Anyone can buy a drone, fly it and be happy with the shots. But, I try to take it to the next level. Do things right and maybe good things happen. When I mean do things right, I mean applying for your concession from the Department of Conservation so you could fly your drone over public lands in New Zealand. Sure, you are limited to where you can fly, but when you see something like this, who cares!? 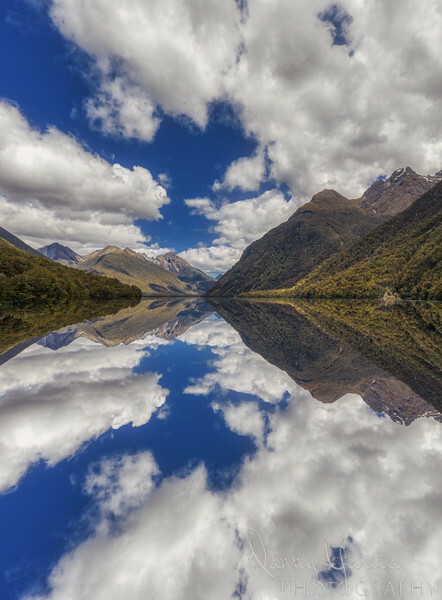 This is Lake Gunn which is on the way to Milford Sound. This is a panoramic from three pictures stitched in Adobe Lightroom, then processed in Aurora HDR and final touches in Adobe Photoshop.